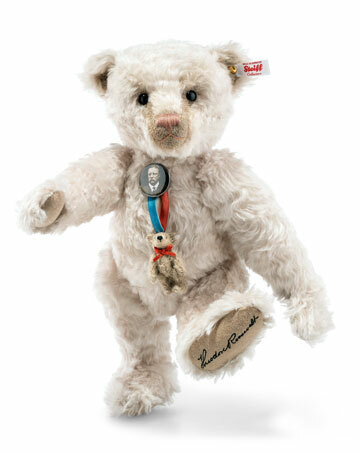 Hermann-Spielwaren's annual Christmas Bear takes you to the heavenly Paradise Garden of Eden. Paradise is where all of the stars grow in a large lush, green meadow. Every year at Christmas time, the flowering stars are picked by little angels who then hang them in the sky. These stars illuminate the dark night sky above us and protect our earth. 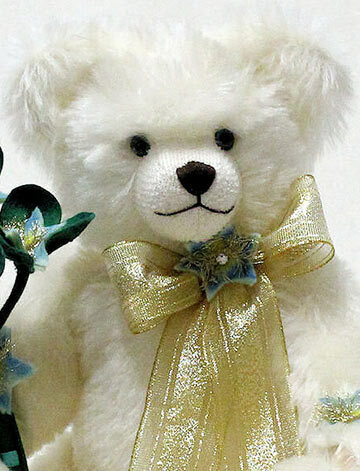 The 2017 Christmas Bear is 14 inches tall and five-way jointed. 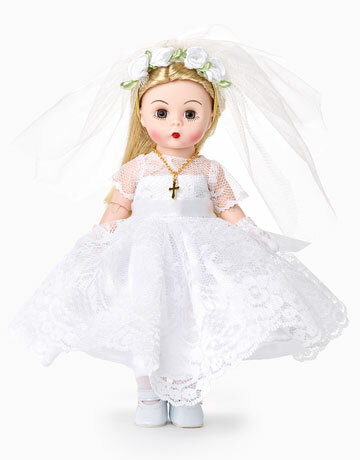 She is made of the finest white mohair and traditionally stuffed with excelsior. A hand-stitched nose, shaved muzzle and friendly eyes come together to create an unforgettable face. Give her a shake and her growler will sound out, telling you stories about the stars and where they comes from. 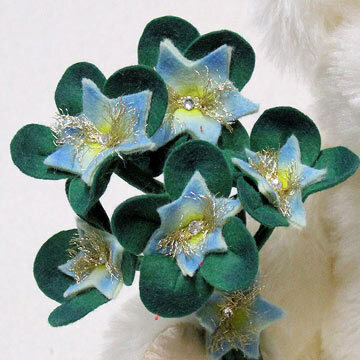 The Christmas Bear holds a bouquet of handmade felt star flowers. 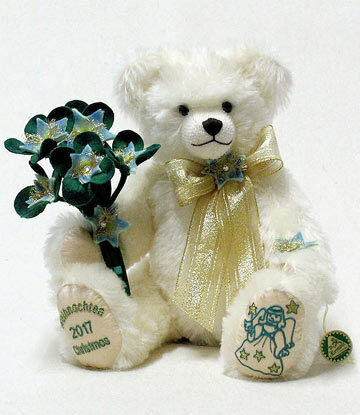 Around her neck is a lovely gold organza bow adorned with a felt star to complement the star blossom on her paw and the bouquet she holds. Embroidery on her paw pads reflect her name and the image of a star angel. Will make a wonderful addition to your holiday decore. The 2017 Christmas Bear 15216-1 is a 2017 edition by Hermann-Spielwaren GmbH limited to the year 2017.